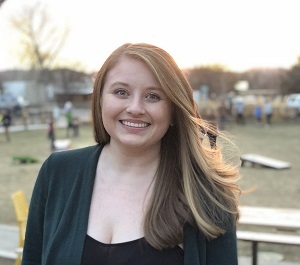 Tutor Profile - Faith K.
Bio: I'm a Colorado native, and I graduated from Colorado State University in 2015 with a BS in Human Development and Family Studies. In 2017, I completed a Masters of Biomedical Sciences at Texas A&M University. During my time at A&M, I took many specialized physiology courses, was a TA for undergraduate anatomy, and participated in a cadaver dissection- biology, physiology, and anatomy are my favorite things learn about. The human body absolutely fascinates me, and I can't wait to help you understand just how amazing it is! I currently work for Kaiser Permanente as a lab assistant, and my ultimate goal is to teach full time at the collegiate level. In my spare time, I like to hike, read, crochet, and snuggle with my cat, Minerva. Experience at High Performance Tutoring: Faith is new to High Performance Tutoring but has lots of prior tutoring experience. Faith was hired because she demonstrated a high level of subject expertise, is great at explaining things clearly, and has a delightful personality.